Join ILACSD and the County of San Diego for a litter cleanup in Julian on Saturday, July 14 from 8:00 am to 10:00 am! Volunteers will pick up trash around the beloved Jess Martin Park located at 2955 Highway 79, Julian, CA 92036. 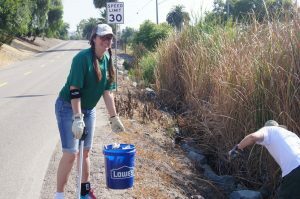 Help us divert waste from the San Diego watershed and maintain the natural beauty of the community!